Kristin is absolutely adorkable on Syfy's Fangasm. Here's what happened when I caught up with the oh-so-chic geek. How did you find out about and get involved with Fangasm? One of my friends had forwarded me the information about Fangasm when they initially began casting, and my brother convinced me that I absolutely had to make a video and apply! It was a really long process, but as soon as I found out that Syfy would be airing the show, I knew I wanted to be a part of it! What did you enjoy the most about your experience on the show? The most enjoyable part of my experience was being able to build lasting relationships with my fellow interns. We've all remained really close since we finished filming and I'm so thankful to have them all in my life! What are you doing now? And what's next for you? Right now I'm focusing on blogging, promoting Fangasm, and still helping my boss Regina with planning Comikaze! I'm so excited for the actual convention. We have a reunion panel planned and I'll also be hosting my own fashion panel and comics panel. Afterwards, I'm looking to start a clothing line, and continuing to travel to conventions and cover them for my site! What first got you into comics & geek culture? My first exposure into geek culture was when my father took my brother and I to see Star Wars (Episodes IV-VI) which were being replayed in theaters. I remember staring at the screen in awe during the opening credits and thinking "WOW IT'S LIKE I'M IN SPACE!!" After that, my second major fandom was when I happened upon JK Rowling's Harry Potter series. The first book hadn't been released yet, but I preordered it from a mail order catalog because I thought a book about wizards sounded cool. I was so, so right! I collect a lot of things! Aside from weekly comics, trades, and toys (especially vinyl toys, I'm super into those lately! ), I'd say my biggest passion is cultivating my closet full of geek fashions. For so many years there was barely any cute apparel available to girls who wanted to show off their fandoms, but lately there's been an influx of dresses! Every time I see one I feel like I have to have it! What are your geeky go-to spots in New York? My number one go to spot in NYC is Midtown Comics. They're my favorite store in the world, and just being inside surrounded by so many things I love makes me infinitely happy. What’s your super power? And what's your weakness? My super power is functioning on little to no sleep! It's been a whirlwind of a month since I returned home and I'm certainly exercising my time management skills. So much to do, so little time! My weakness is definitely pumpkin spice everything. I love it so much and I've been drinking way too many pumpkin spice lattes recently. I keep telling myself I'm going to stop but the moment I get to Starbucks, I'm like, okay, this will for sure be my last one! What's your favorite outfit or costume you've designed? My favorite outfit is this R2D2 outfit I wore which helped me win a costume contest. 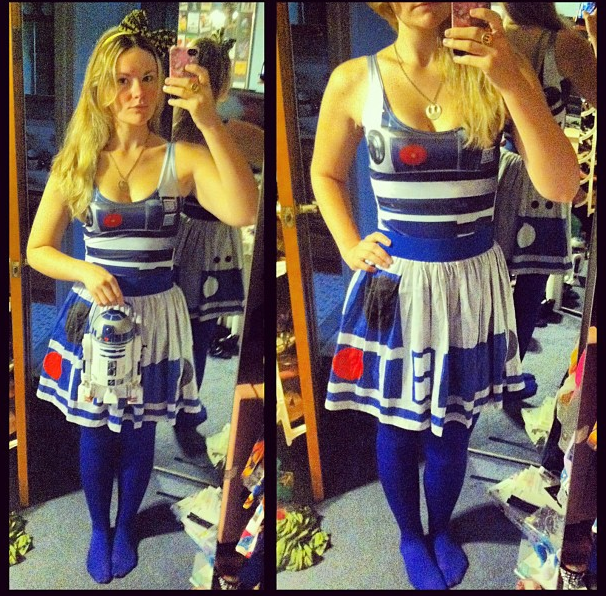 I wore the Black Milk R2D2 dress, along with my R2 skirt from Etsy, and I used the R2 popcorn container I got at Disney as a purse. I also accessorized with a Star Wars bow headband, and my Rebel Alliance necklace. My favorite heroes are Spider-Man, Nightwing, Batgirl (Stephanie Brown), Supergirl, Daredevil, Captain Marvel, Hawkeye, and Batman! 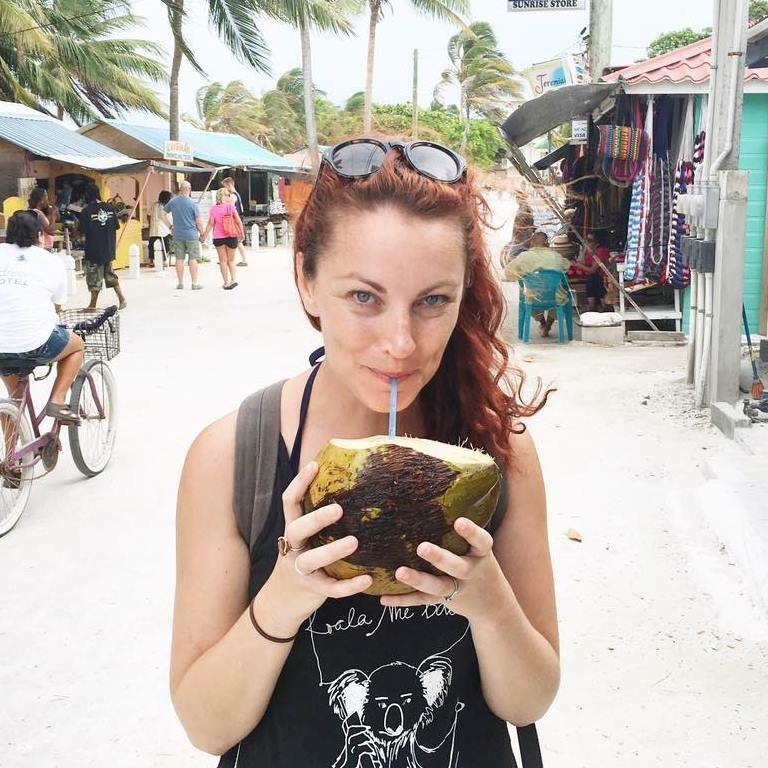 A huge thank you to Kristin for taking the time for an interview! 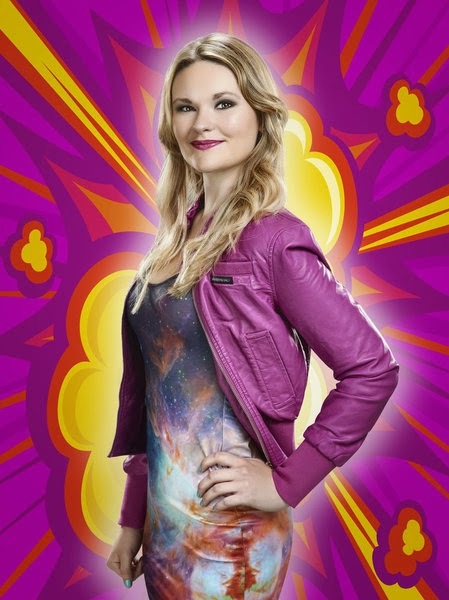 If you haven't checked out Fangasm yet it's on Syfy Tuesdays at 11 (and on Hulu!). Be sure to follow Kristin (@SuperSpaceChick) on Twitter, Instagram, and read her blogs superspacechick.com and wearpinkwednesdays.com.